Christian Winnig was born and raised in Germany and immigrated with his wife to the US in 2005. In Germany he was a professional Firefighter and Paramedic for 20 years and also served his community as a volunteer Firefighter for 25 years, for the last years in the rank of an assistant Fire Chief. His job helped him to develop a high level of integrity, honesty and commitment and the hands on training and runs helped him to achieve a lot of technical skills and understanding. He started his Real Estate career in 2006 as a Real Estate Sales Associate, in 2011 he completed his Real Estate Brokers License. In 2012 he became a US citizen. 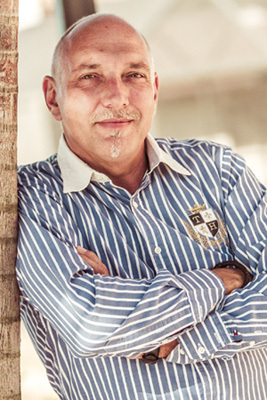 Christian Winnig not only works with foreign national Buyers and Investors from several countries like Germany, Canada, Switzerland, Austria and other European Countries but is also your local Agent to help you list and sell your property. Over the years he developed relationships and networks with out of state partners and companies to expose his listings on the European Market. He also is your partner for a new construction with trusted Builders and he supervises and documents the construction process and progress if you can not be on site during the construction. His wife Nicola runs her own vacation rental business with over 80 properties and furnishes and decorates your house to make it ready and complete for a successful vacation rental investment.